Happy Halloween everybody! I hope you've all had your fill of sweets and booze! This week seemed like the perfect time for me to announce me and my husband's newest collaboration project! It will be a collaborative effort with other artists and writers! It will be ready for the public one year from today! Let the countdown begin! My now husband likes to always entertain me with little stories about our cats, one day he said that my old cat boots had run off to the circus while I was away. 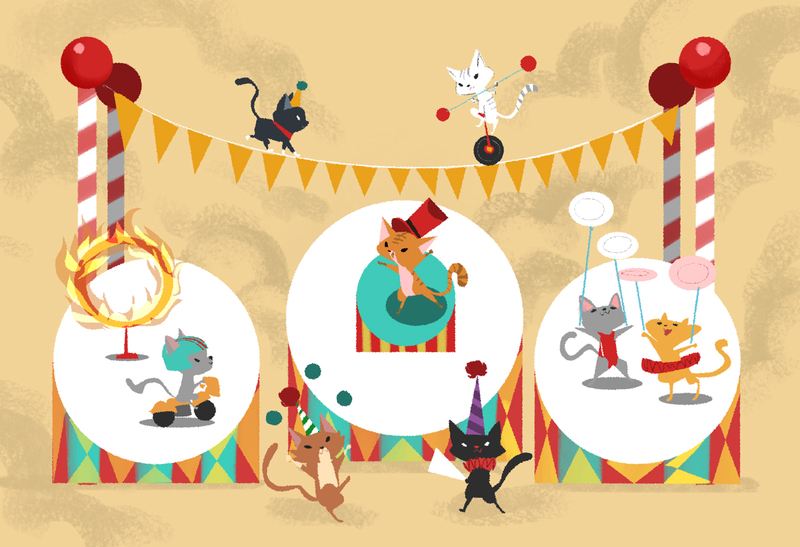 I imagined what a circus full of cats looked like and was very amused. I imagine there would be lots of cute kitties and lots of fur flying! I have this also listed in my shop as a large and small print! I'll have some at CTN X too!